Get everything you need with this quality Yellowstuff brake pad and rotor kit which includes pads, RK rotors and caliper lube. 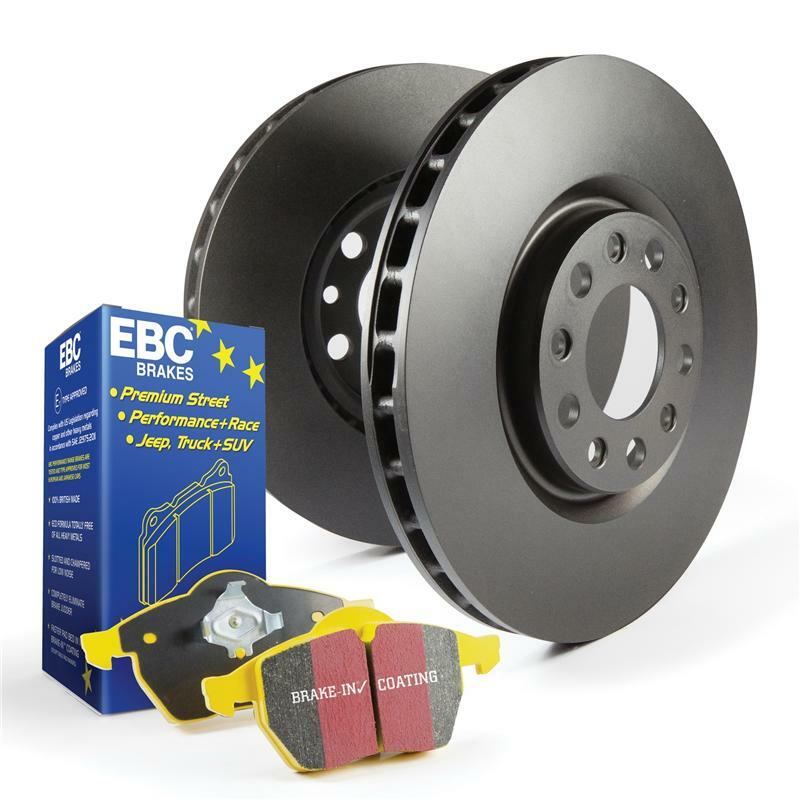 EBC flagship GG rated Yellowstuff high friction brake pads for maximum brake effect fully shimmed chamfered and slotted finished with patented EBC Brake-in™ coating for fast pad seating. Matched with OEM style replacement rotors, coated with geomet anti rust surface coating, fully balanced and runout tested for smooth braking.